Attention, IROC-Z enthusiasts: the 2010 Chevrolet Camaro will not be available with your beloved T-top. If this is hugely disappointing, well, it may finally be time to put on a shirt with a collar, sell your Skynyrd CDs, and scissor the mullet. In reviving the Camaro, Chevy is doing all it can to make the born-again car remind everyone of the sharp, cleanly styled 1967 original, rather than the more awkward later versions that seemed like accessories to tank-top wear and excesses in facial hair. This writer, the semi-proud owner of a 1995 Z28, knows intimately all the social assumptions that go with late-model Camaro ownership. GM is of course milking the revival for as many stories as it can get from us, hence we got a first drive in a V-6-powered Camaro prototype, which we promptly piloted to the the Car and Driver 10Best loop in the Michigan woods. The V-8 experience will follow soon. Manipulative intentions aside, the point of our early exposure was also to prove that even the base Camaro is deserving of more enlightened consideration, while still being powerful and capable enough to rock your face. Are you interested in the V6 or V8 engine? Do you seek the direct input of a manual transmission, or are you more comfortable with an automatic transmission? Will the Camaro be the car you drive every day, or just on weekends? When do you plan to purchase your new Camaro? Now that the wraps have been taken off the 2010 Chevrolet Camaro, we would like your feedback on what features are important to you. By clicking on the link below, you will be sent to a third party site -- www.myproductadvisor.com -- where your answers to various questions are collected and analyzed. The process is pretty easy, but a little time consuming (plan to spend about 20 minutes answering questions). The site is split into a number of sections from “Auto Usage” to “Recommendations”. These sections are dedicated to general automotive consumer research -- not just sport cars like Camaro but other cars and trucks (for example you’ll be asked questions on truck bed length, four cylinder engines, turning radius, etc.). We suggest you answer the questions on the site as if your mind is set on the Camaro (or like vehicle). Please start the survey by clicking and answering a question on “Auto Usage.” You have the option of answering all the applicable questions in each section (highly recommended), or just answering one question in “Auto Usage”, and moving directly to “Recommendation” button on the right corner. In this survey, the “Recommendation” button will not provide an automotive recommendation, but will start the second part of the survey which is dedicated just to Camaro. 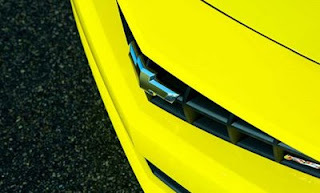 Once the “Recommendation” button is clicked, a picture of the 2010 Camaro will appear inviting you to link into the Camaro survey. The questions will include option descriptions and price ranges; but please note, these prices are being provided to determine demand, and do not necessarily reflect final Camaro pricing or packaging. Your answers will go a long way in helping Chevrolet bring the 2010 Camaro to market in the first quarter of 2009. Thank you for your time in participating in this research event. Note: You must use the link below to gain proper access to myproductadvisor.com site. Access through other means will not be included in the Camaro research study. You are welcome to post this link or pass it along to other interested Camaro friends.